Infuse luxury and a charming look into your home with this Shimmer blue wool area rug. Place this solid-patterned rug beneath a dining table or near a seating arrangement for a boost in underfoot comfort. Subtle cream tones blend effortlessly into many styles of decor or flooring types. 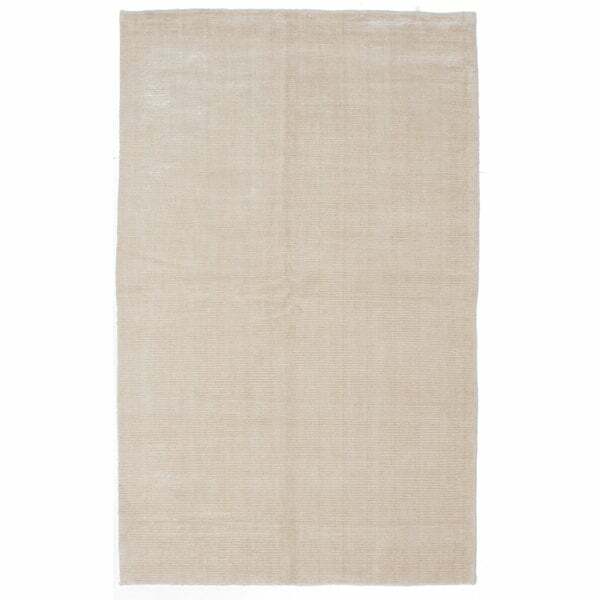 Hand-Knotted Seamus Border New Zealand Wool Area Rug - 3'6" x 5'6"